The Processor – this is usually a small chip inside the computer, and it’s how the computer processes and transforms information. Has anyone heard of the term “CPU”? 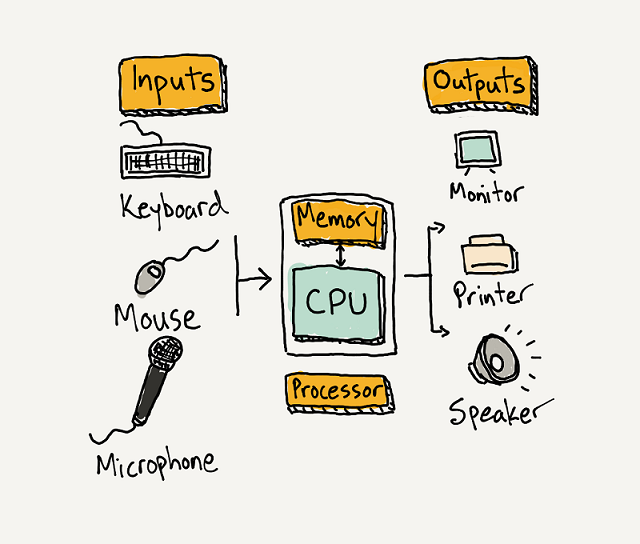 CPU stands for Central Processing Unit. You can think of the processor as the Brains of the computer - the faster the processor, the more quickly the computer can think. Can you find the Processor? 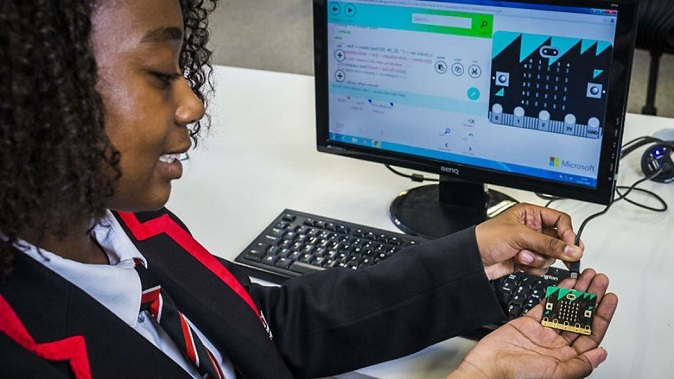 How much memory does the micro:bit have? 16K, which is smaller than many files on your computer! Can you locate the following Inputs? Buttons (on board), Pins (at base), Accelerometer / Compass. 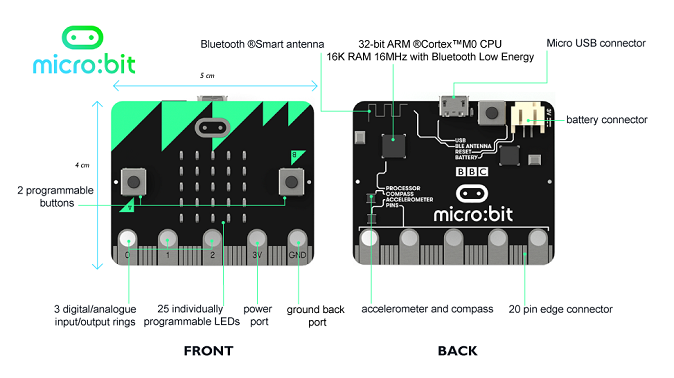 On the top left corner you may notice that your micro:bit has a Bluetooth antenna. This means your micro:bit can communicate and send information to other micro:bits. We will learn more about this feature in the Radio Lesson.